Abi K. asks: What does the postal service do when a package is mailed with no valid recipient’s address and no return address? This seems like a pretty cut and dry statement that leaves very little room for interpretation. However, there’s always an exception to the rule and in the case of undeliverable mail that exception is things like periodicals, which are deemed to have little to no value after a certain point due to their timely nature and will be disposed of accordingly. That said, publishers can request to have such items returned to them if they so wish. So what about the case of mail that is undeliverable and happens to have no visible or legible return address? The Postal Service has had measures in place to deal with these so-called “dead letters” almost since the service first began in earnest in the 1700s with the awesomely named position of Inspector of Dead Letters, being created by an act of Congress way back in 1777. The first Dead Letter Office, on the other hand, wouldn’t exist until 1825, when the sheer amount of dead mail necessitated the creation of a dedicated service to deal with it all. In any event, as noted on their website, the Mail Recovery Center generally doesn’t accept anything worth less than about $25 or something that can’t reasonably be traced back to someone like keys, cosmetics and food. In this case, the items will either be recycled, disposed of or in some cases, donated to charity. Of course, exceptions can and will be made, but this is handled on a case-by-case basis. For example, if an undeliverable letter or package contains something that clearly has sentimental value (such as photographs or, in one case, postal worker Lori Ferguson-Costa had the pleasure of processing a dead-package containing a jar that in turn contained a placenta) , it will be processed to try to track down the original sender or intended recipient, despite it having no real monetary value. You might at this point be wondering what about if they find money and despite their best efforts they can’t track down who sent the letter or where to send it to? It will simply be tallied up and given to the US treasury. So what goes into the “processing” step? 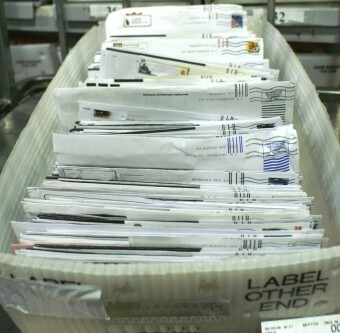 First, a Mail Recovery Clerk has to physically open the letters and packages to discern exactly what they contain, making people in this position just about the only individuals in the US legally allowed to open another person’s mail without it being a federal crime. As you can imagine, this means security is tight and everything the clerks find has to be meticulously recorded and noted down to stop someone just walking out of the building with a pocketful of other people’s stuff. Beyond just opening the packages and letters, the mail clerks in question will go to fairly extensive lengths to try and return or deliver dead mail. In one case noted in a Smithsonian piece on the day in the life of one of these workers, the worker at the center of the article, Vera, opened a package with no identifying marks whatsoever on the outside, but managed to use a phone number contained inside to ultimately track down the package’s original owner. In another case, the aforementioned postal worker Lori Ferguson-Costa got a call from a woman who’d recently had her baby die of SIDS. (If you’re curious, see: What Causes Sudden Infant Death Syndrome.) The woman, who was in tears at the time, explained that she’d mailed a photograph of her baby that she didn’t have any copies of, the last one taken before the baby’s death, but the recipient (the grandmother) never got it. Lori then got a detailed description of what was in the photograph and after a pretty extensive search around the Mail Recovery Office manged to find it, despite going off of only the woman’s description of the picture. Essentially, any clue whatsoever, even small ones, in the package will be followed up on until the clerk manages to find out where the package was intended to go or who sent it. As for how long this all takes, the usual amount of time the Mail Recovery Office will hold things varies and is handled on a case-by-case basis depending on the item and the clerk’s preference. For example, if the item in question is clearly worth a lot of money or seems like it probably holds significant sentimental value like a wedding dress or jewellery, the Mail Recovery Office will hold onto it for upwards of a year (and in some cases even longer, such as a jar containing the cremated remains of one W.C.G. McLeod who lived from 1891 to 1977, which postal worker Vera stated was there when she got the job and she intends to keep it around until she retires, hoping someone will claim it). 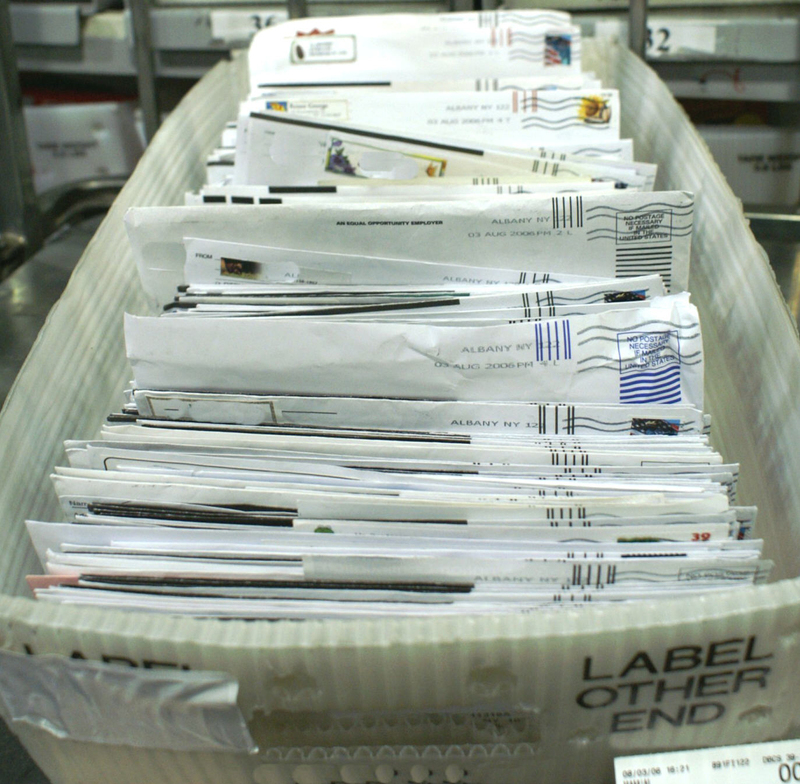 However, since it just isn’t feasible for the Mail Recovery Office to hold onto something indefinitely, in the vast majority of cases, after every avenue to return something is explored and they’ve held onto an item long enough for someone to miss it and file a claim, they are left with no choice but to sell it at in a bulk auction, the profits of which are funneled back to the Postal Service. So with all their efforts, how successful are they at bringing dead mail back to life? According to official figures, they are able to deliver or return 68% of the dead mail “with obvious value“, a figure which drops to a lower, but not insignificant 43% when you factor in all dead mail. When you consider that only about 0.05% of mail is deemed “undeliverable” in the first place, that’s a pretty remarkable overall delivery rate. Your story says, “the mail clerks go to fairly extensive lengths to try and return or deliver dead mail.” Umm… not true. I shipped four cartons of new books (88 total) that were lost. Before they were even supposed to show up at their destination, they were sold at the USPS Auction – within 10 days of being shipped. Not only did they charge us $100 to for a service not delivered, they made $440 off my books, which haven’t even been released to the public yet. And the guys who bought the books put them on the internet and made $3,100, again before the book was rolled out to the public. We found the company selling the books, who agreed to give them back to the USPS if they could get their auction money back. The USPS refused to give us our $100 for the unshipped books and refused to even call the company that had bought them at auction. They also refused to give us the $440 they made at auction. It made all the major news stations in Denver. So let’s not paint the USPS “Recovery” Center as a bunch of good guys. It’s a classic extension of the bureaucracy we’ve all come to know and despise – the USPS. “It’s not my job” – that’s their motto. Good article. What happens to letters that are undeliverable? Not packages and other merchandise. As an aside, what do they do with letters to Santa and the Easter Bunny, etc? Just Curious. “the mail clerks go to fairly extensive lengths to try and return or deliver dead mail.” Yeah right!!!! I filled out a Mail Recover Center Search Request form at my local post office Sept 12th, 2014. I received a package from one of my best friends that was supposed to contain a birthday present for myself. It was opened and only a card was in the mailer. After talking to my girlfriend found out it was a tarot card deck purchased for me in New Orleans. I contacted the Atlanta office after my Mail Recovery Center Search Request was submitted. I informed them it was a Tarot deck in a gift bag with the word Hex on it per my girlfriend who sent it. She also filled a request out on her end. You know what I was told when I finally got in contact with someone? Why didn’t I have a photograph of the gift & I had a very slim chance of getting my gift because my description wasn’t descriptive enough! What a bunch of crooks. I’m sure some employee opened the gift and stole it anyway. I’ve now received a birthday package from my Dad for my daughter that was sent priority, arrived 2 weeks late, opened and money missing. Lovely. Word to the wise, always check your return address no matter WHAT. I had a fairly valuable ebay package sent to the address they specified, only they didnt include their apartment number, soooo it was returned. I called a day after it was returned and they said they think it had already gone to the dead mail center…WTF??!! more efficient than the mail in the first place! I figured it would be there for at least a week. So now it is lost, with a request placed to find it. Hi, I’m trying to contact Mr. Smallwood. please email me – love to discuss how you wrote this story!